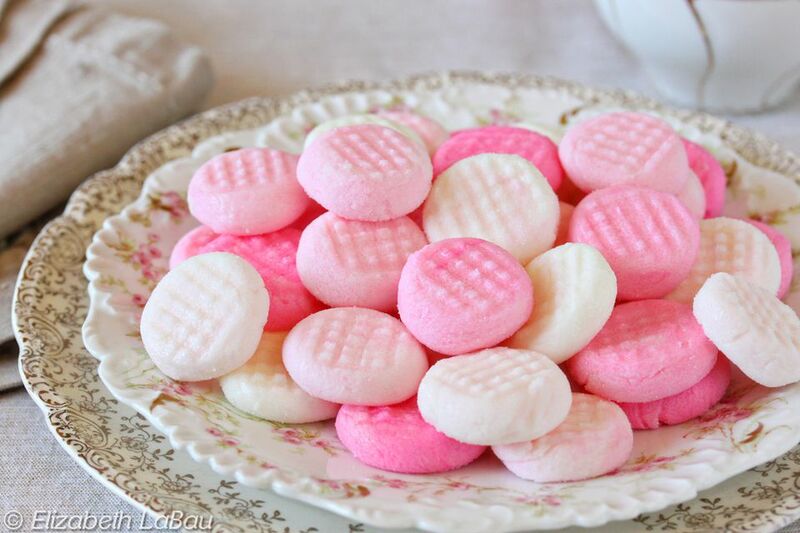 Cream cheese mints feature a delicious combination of cream cheese and pure peppermint flavoring. These popular candies make perfect favors for baby or bridal showers, weddings, and holiday parties since they can be decorated to suit any color scheme. ​Prepare a baking sheet by lining it with waxed paper or parchment paper. ​Place the room temperature cream cheese, butter, corn syrup, and 1/2 tsp mint extract in the large bowl of a stand mixer (alternately, a hand mixer can be used). Beat until the mixture is smooth and homogenous. Stop the mixer and add the powdered sugar. Mix on low speed until the sugar is moistened, then turn it up to medium and mix until the candy is smooth and well-combined. Taste the candy and add more extract, if necessary, to suit your taste. If it is very soft and sticky, add a bit more powdered sugar. It should be smooth and not sticky when you roll a ball between your palms. If you want to make different colors of mints, divide the candy into separate bowls and stir in food coloring as desired. Using a spoon or candy scoop, scoop small 1-inch balls of candy and roll it between your palms into a ball. Roll the ball in granulated sugar or colored sprinkles. Place the ball on the prepared baking sheet, and use the palm of your hand or the bottom of a glass to flatten the ball into a patty. If desired, you can instead press down on the mint with the tines of a fork to create a pretty cross-hatching pattern on the mint. Repeat with remaining candy until all of the mints are formed. Place the tray of mints in the refrigerator for several hours to chill until firm. Store mints in an airtight container in the refrigerator for up to 2 weeks. These mints are good straight from the refrigerator, or at room temperature.